After a long wait, another great anime is ready to return. We’ve heard stories about the son of Satan for a long time, a child that will be born to the king of hell and bring about the eventual end of the world and humanity as we know it. He is usually called the Anti-Christ, Damien, or Hellfire (for the Marvel Comics fans). 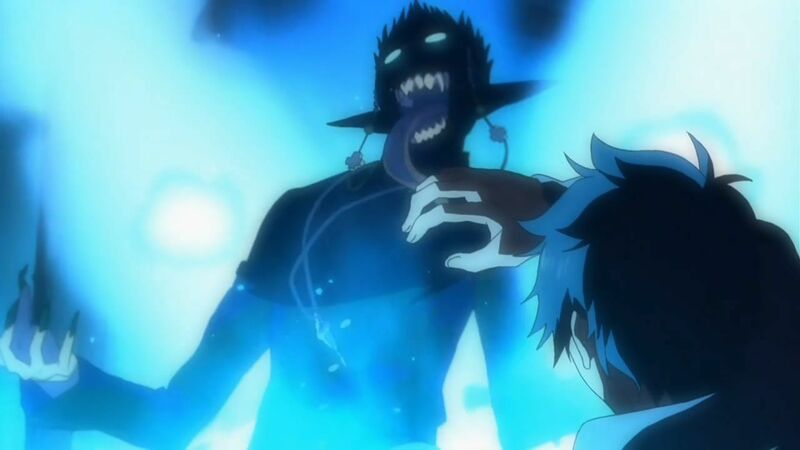 But, in Kazue Katou’s Ao no Exorcist, or Blue Exorcist for English speaking audiences, the son of Satan goes by a different name. In fact, the devil does not have only one son born of a human mother and a demon father, he has two! Following a very successful first season in 2011, the anime is set to release its second season on January 7. Five years later, the series is going to make an epic comeback. If you are looking to give the anime a try, but are too lazy to watch the 25-episode first season, here is a quick guide to the show that will get you caught up and prepared for the next chapter. 1. Satan actually has two twin boys, Rin and Yukio. The show follows Rin, a young man who initially has no idea that he is the son of Satan. He was raised by Father Shiro Mujimoto, a famous Exorcist. Following an argument with Rin, Mujimoto gets possessed by Satan and Rin learns the truth about who is true father is. He draws a sword that awakens his hidden demonic powers and fights back Satan and the other demons who are trying to enter into the human realm. Instead of accepting the fact that he is the son of Satan, he instead goes on a mission to become an Exorcist, like his human father, Shiro Mujimoto. Yukio is the younger twin, but is smarter and a stronger fighter than Rin. Despite being bullied a lot as a child and Rin always having to stick up for him, Yukio uses his smarts to advance quickly in his studies. He becomes a professor at True Cross Academy, a school to teach would be Exorcists. He is currently a Middle First Class Exorcist, a high position in the world of Exorcism. 2. Exorcists are an organization. Our original notion of exorcists would have us believe that there is only a special few members of the clergy who possess the miraculous gift of expelling demons from the human body. That is not the case in Blue Exorcist, though. The Exorcists are an entire organization that is tasked with keeping the demon world, Gehenna, from infiltrating the human world, Assiah. There are five classes of Exorcists that you should take note of: Knight, Dragoon, Doctor, Aria, and Tamer. Each class possesses a special skill that is utilized to eradicate demons. It is possible that an individual be more than one class, though. 3. Satan is … misunderstood. If my Catholic grandmother were to see the things that I am writing now, it would break her heart. But, in the show, Satan is bad, but he isn’t your stereotypical bad. He hates everybody else and will hurt his sons to get what he wants, but he loves the boy’s mother. And she loved him back, so much so that she ended up having children with the man. Their ultimate goal was to unite both the demon and human world, instead of this division between the two that obviously exists for good reason. Satan just goes about the transition in a poor way and actually vents that the boys do not understand his vision and what he is trying to do with the world, a goal that both he and the boy’s mother want. It’s so weird. What if Satan is just trying to unite our world with hell this entire time? Nah. 4. The show is steeped in Christian ideology and thought. This is interesting because Japan is not a Christian country. Only about one percent of the population is actually Christian, and the country was incredibly anti-Christianity for a long time. Nevertheless, it’s a story that focuses on Exorcism, and Katou found it extremely important to stick to Christian themes in the writing of the manga. Gehenna and Assiah are both Hebrew words that mean “hell” and “the world of action,” respectively. The Vatican is a big part of the story. Some Exorcists even recite Bible passages in order to exorcise demons. Before you start condemning the show for its inclusion of Christianity, it is always important to remember that religion is simply a way of thought and being, similar to any secular philosophy that you may believe in. It should not keep you from watching the show if you are decidedly Anti-Christian. 5. The second season will follow the “Kyoto Impure King” arc of the manga. This arc is the fifth volume of the original manga. In the late Edo period, a demon known as the Impure King killed thousands of people. However, he was defeated and his left eye (part of his heart) was kept was sealed away in the Kyoto branch of True Cross Academy. In present day, it gets stolen and Rin, Yukio, and their friends go in pursuit of the item. However, when we last left the story, everybody just learned that Rin and Yukio are the sons of Satan. This will inevitably impact relations and friendships as the show progresses.